Ronja Bangsund is a 9th grade student from Blussuvoll Ungdomsskole. Berta Guell Matas is a nice, dedicated scientist that is full of ideas and energy. She does research on renewable energy sources, especially bioenergy. When she was a child, she wanted to do as several others from her family and become an economist. When she was first introduced to the world of chemistry through school, she fell in love with it. She studied chemistry in Barcelona and took her PhD in the Netherlands in 2009, she had worked on it since 2005. In 2010 she began her career at SINTEF Energy as a researcher. In 2011 she was promoted to Research Manager. When I asked why she wanted to become a scientist, she smiled at me and told me that she had always been a curious girl who liked to discover new things. She told me that she wanted to make a difference in this world, to contribute with something that would make the world a better place to live. 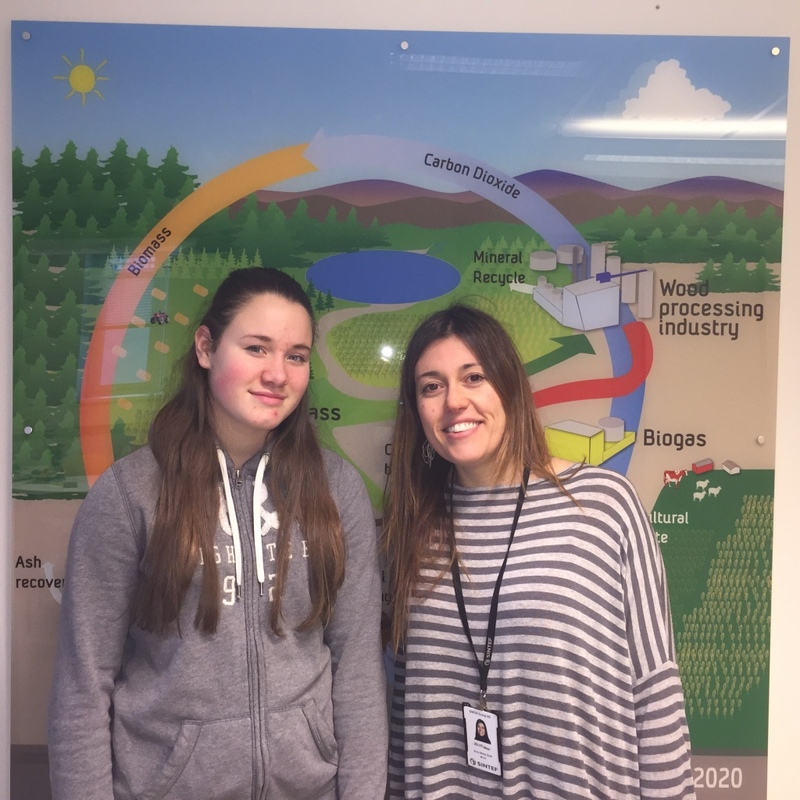 She chose bioenergy because she wanted to better the environment and because she wanted to use her education to find out more about renewable energy. Berta researches bioenergy, she says it is important because bioenergy is going to play a big part in the future when it comes to reducing greenhouse gas emissions. You can get bioenergy from all biological resources. Examples of it can be land-based biomass (forest, agricultural waste, food waste) or marine-based (seaweed). Bioenergy can have several distribution areas, both for heat and power or transport in the form of biofuels, biogas. This is also the only renewable energy source that contains carbon, hydrogen and oxygen. Berta says that something important to emphasize is that they ONLY use resources that are sustainable and that do NOT compete with food production. Berta herself, is a Research Manager. Which means that her job is to lead a group of scientists, working with different projects all in bioenergy. To become a scientist, you can have any kind of education. Berta refers to herself as an example, she says that in order to become a scientist, in addition to an education you need three qualities. You should be ambitious, curious and you should want to contribute to make a difference in the world. A big part of the job as a scientist is that you can choose to travel to promote and inform others about your research. You can go to conferences and meetings where the goal is to convince the industry to invest in your project. Researchers also travel to create engagement, to provide partners and to get attention. There are several positive things about being a scientist. Berta brings up teamwork as one of them, and how fun it is to work with colleagues from other subjects. She also says that one of the challenges that she has to face when she is a scientist, is that if she has an idea that she believes is the world’s best, and you wonder why nobody has thought of that before, there is still a chance that you don´t get the support you need from the industry. Partial funding is needed in most projects. Without financial backup the idea can´t be tested. Of course you don’t have to remain a scientist forever. Some researchers take a break from their research to get to know the industry better, and to get a feeling what it´s like to be on the other side of the table. Ronja is a 9th grade student at Blussuvoll Ungdomsskole.